The old saying “it takes a village to raise a child” has proven itself time and again at Midlands Middle College (MMC). The school is fortunate to have a dedicated Board of Directors and a team of community volunteers who work alongside the school staff to foster personal growth in its students. Throughout the 2017-2018 school year, fourteen students have participated in a mentorship program where they work closely with leaders in various career fields to develop their skills as future members of the community and the workforce. Monthly meetings focus on “soft skills” such as communication, teamwork, responsibility, and leadership. 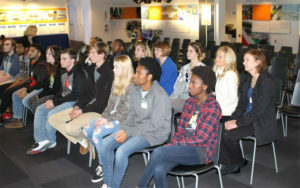 In February 2018, the students and their mentors visited the Boeing manufacturing facility in North Charleston. 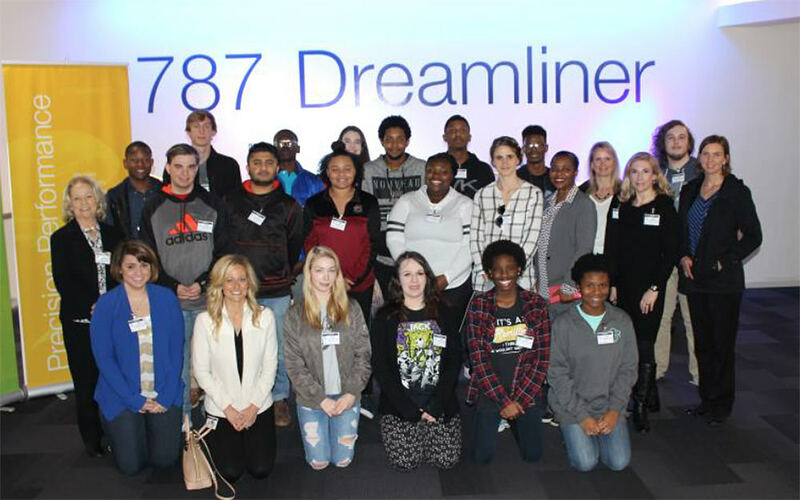 The trip offered students the opportunity to see potential future careers in action through Boeing’s “DreamLearners” program. They practiced skills they had learned in the mentorship sessions as they met with Boeing employees – shaking hands, communicating professionally, and serving as representatives of MMC. They also had fun, participating in a demonstration of airliner materials, competing in a game to win prizes, and enjoying lunch and a charter bus ride away from the classroom. The mentorship program and the trip to Boeing are just two examples of how MMC works in collaboration with the community to prepare its students for a successful life after high school.